It always surprises me to what lengths people are willing to go to run desktop apps in containers using #Docker while all they have to do is installing #Flatpak (for apps) and #Silverblue (for the OS). ? 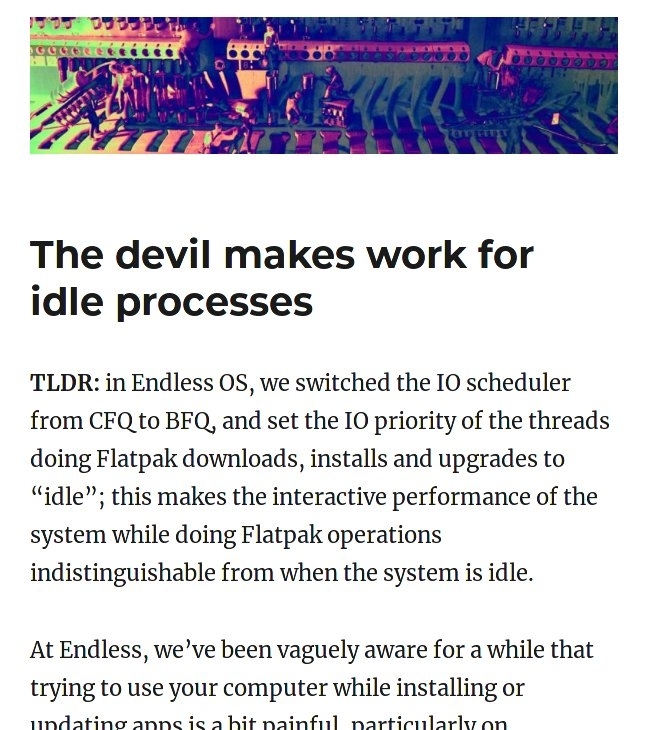 The devil makes work for idle processes – This is not your bugtracker.